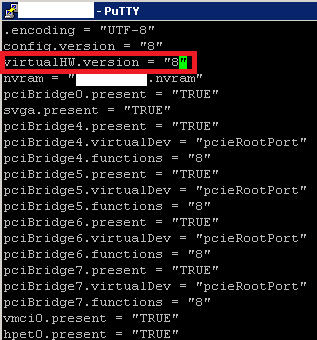 Thankfully there is an easy work around! 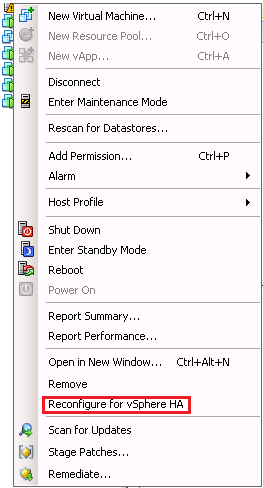 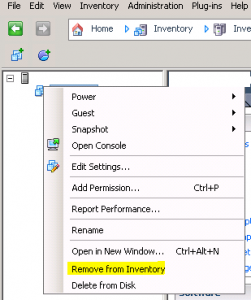 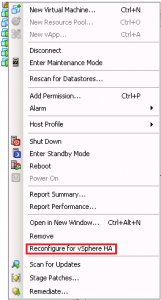 Confirm the VM is powered-off. 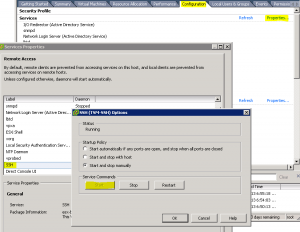 Enable SSH on the host and connect. 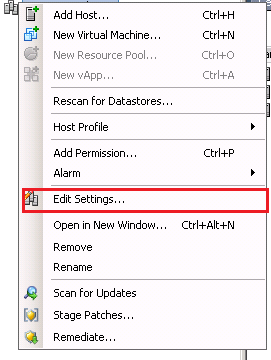 Hint: Delete 10, type “i” to start editing, put 8 between the quotes, then Esc key when done, “:wq” to save changes (:q! to exit without saving). 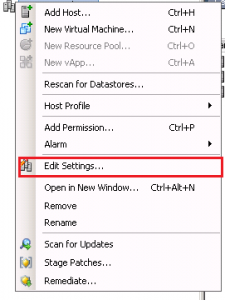 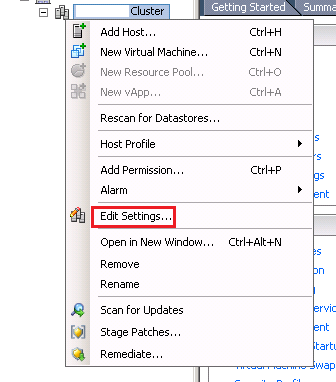 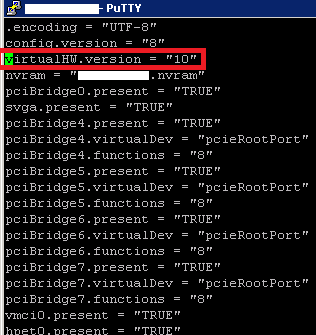 You should now be able to edit your VM! 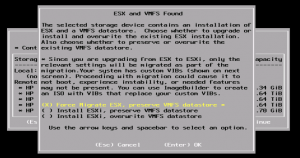 It is possible to customize your install image and add/remove VIBs as required but I have found the easiest way to resolve this is by doing a manual upgrade. This can be done be done directly from the host, or my preferred method – Out-of-Band Management, Dell DRAC, HP iLO, IBM AMM, etc. 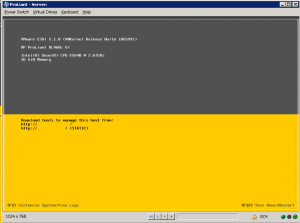 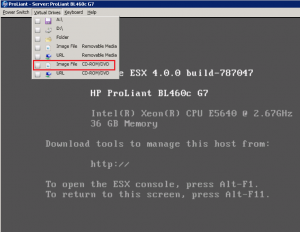 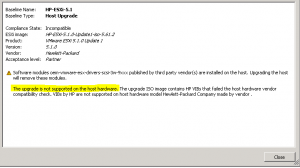 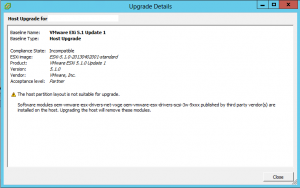 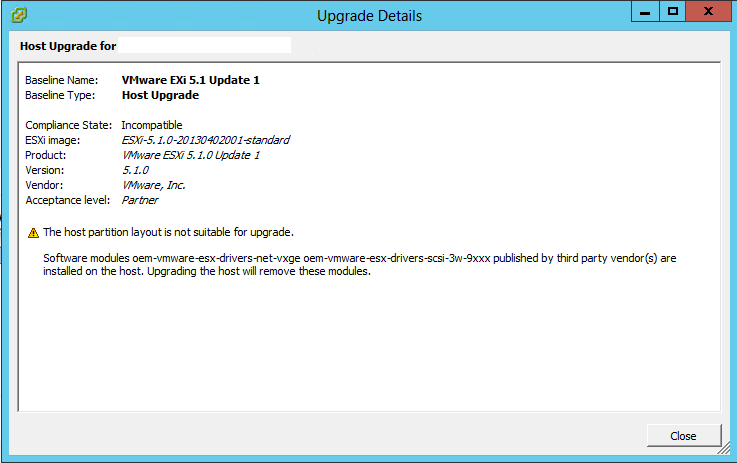 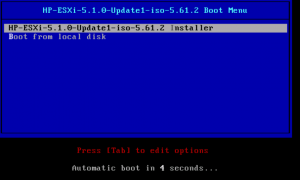 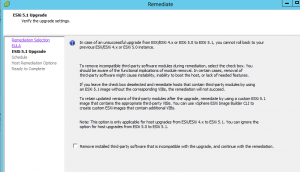 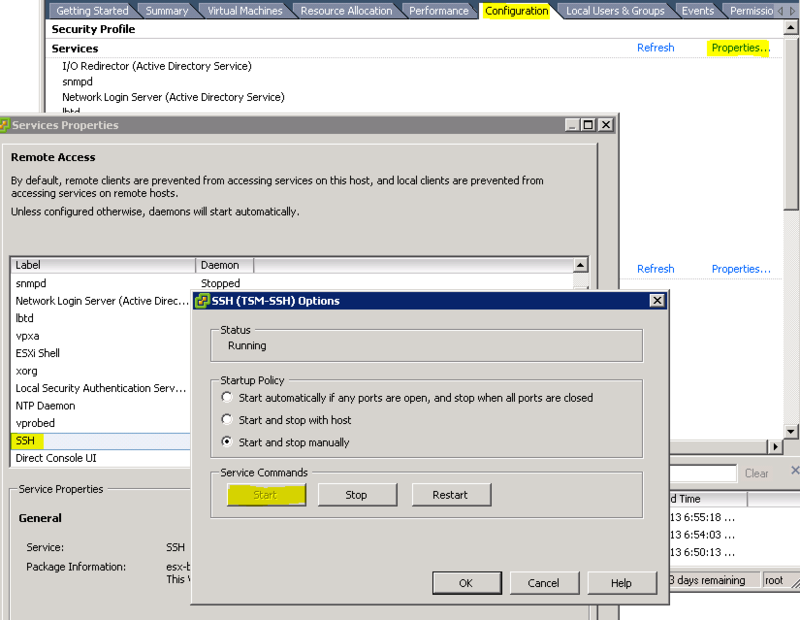 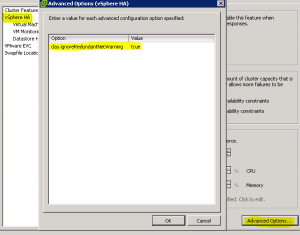 Mount your VMware ESXi 5.1 media (or insert CD) and restart host. 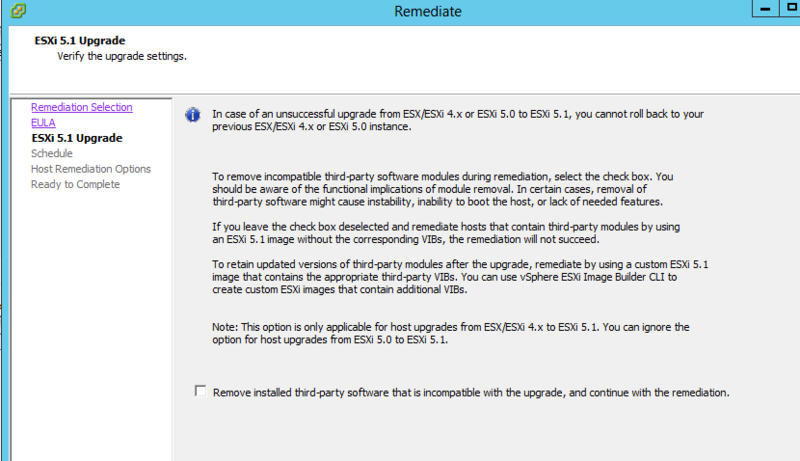 After all the modules load (Approx. 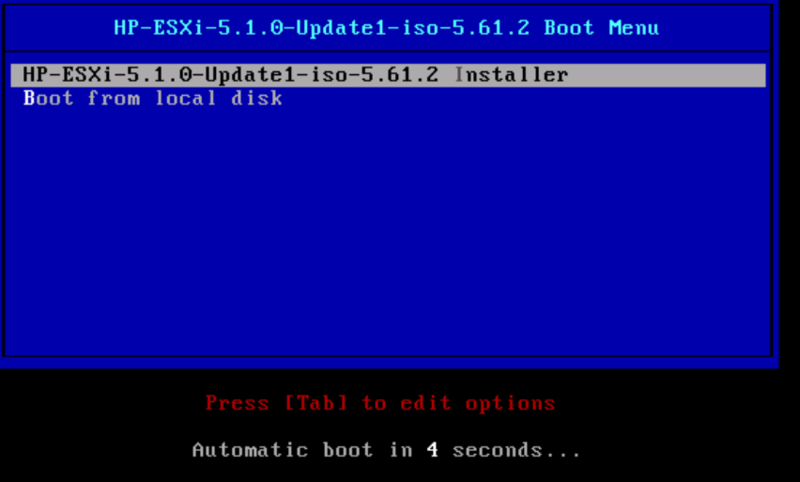 5-10min) you will be presented with the following install screen. 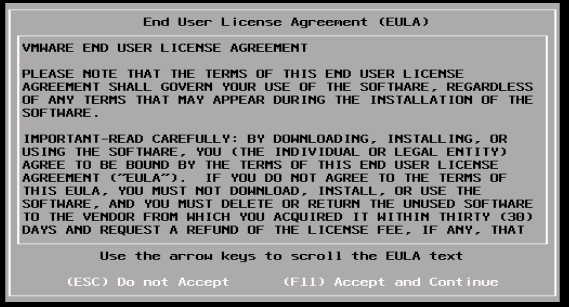 Hit enter on your keyboard to continue past this screen & F11 to accept the EULA on the following. 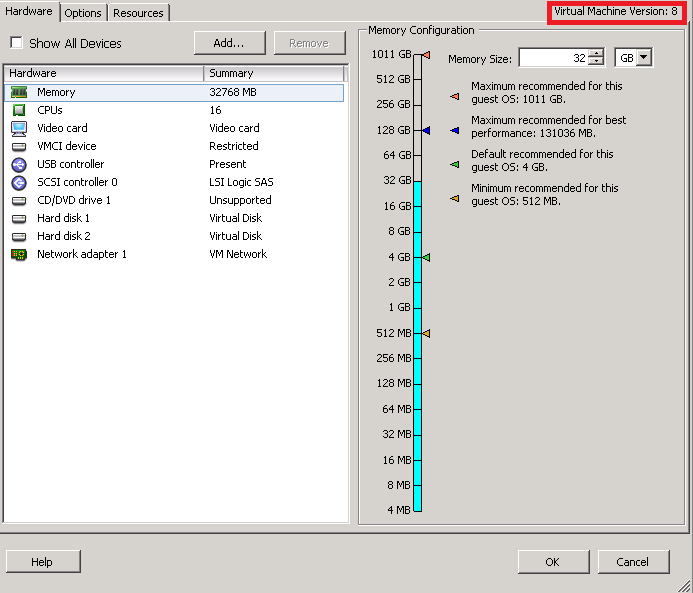 The installer then scans through available hardware and you are faced Disk selection option. 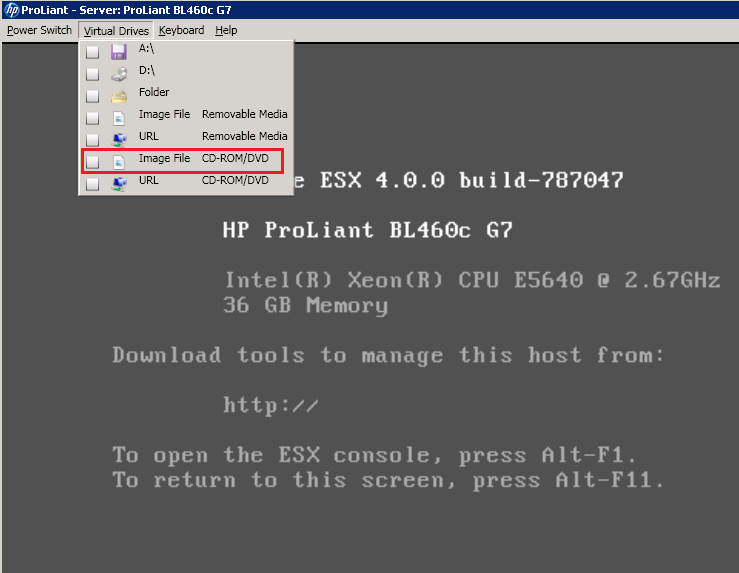 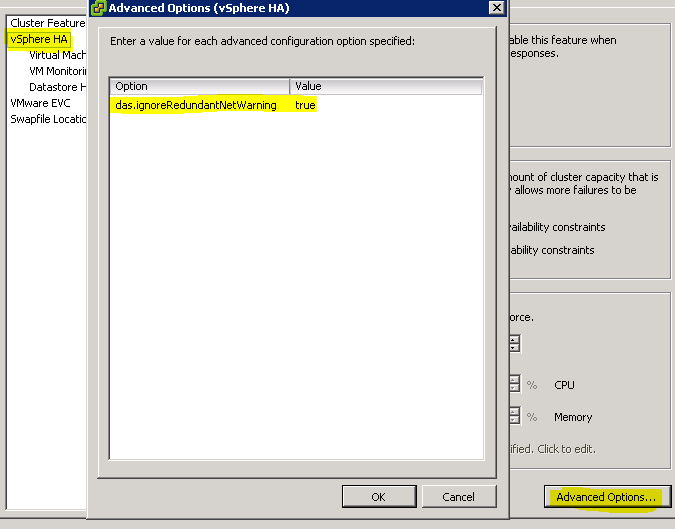 Select your ESX/ESXi install volume and press Enter to continue. 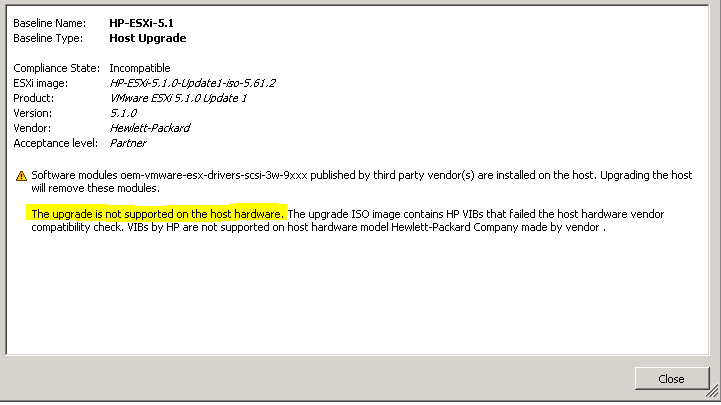 Depending on your hardware, after approximately 10-15min you should see a message indicating “Force Migrate Complete.” Select enter to reboot. 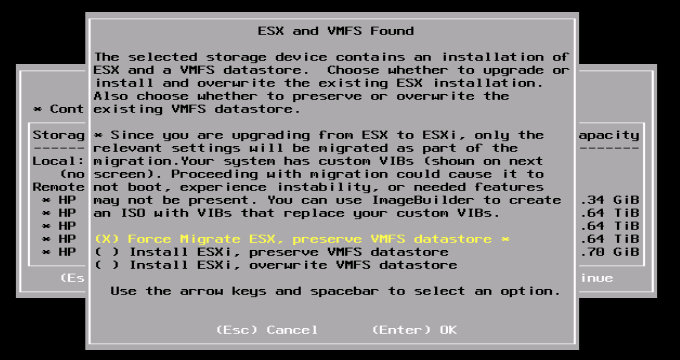 After couple of reboots you should find yourself at the VMware ESXi 5.1 splash screen and be able to access your host via vCenter 5.1. 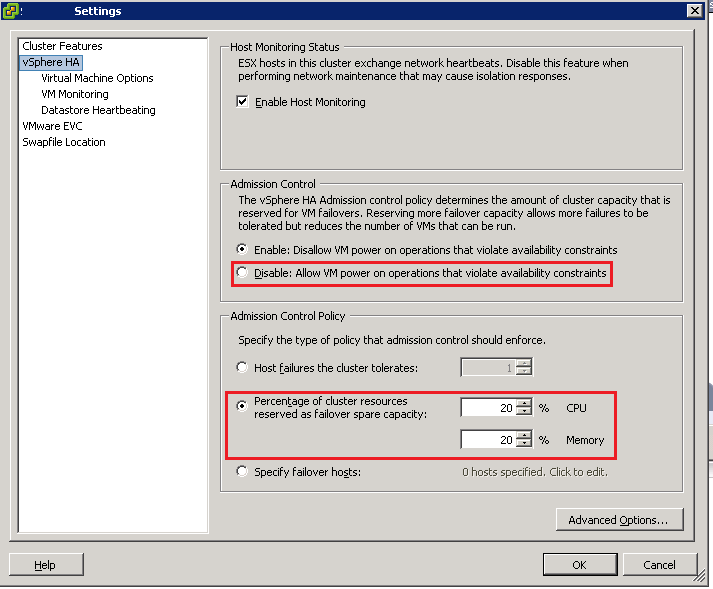 We recently had an IBM Blade environment where the HA Heartbeat/Management network were sharing the same NIC due to hardware constraints. 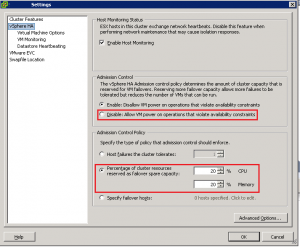 This will cause an alert warning in vCenter. 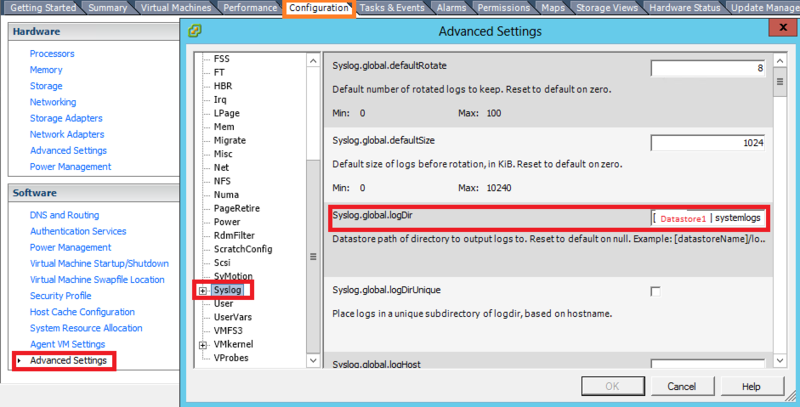 Click Ok twice, right the host with the error and select “Reconfigure for vSphere HA” and after a few moments the error should disappear. 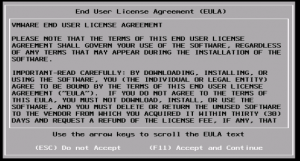 In this situation however, I’ve found you need to remove the problem patch before getting to this screen. 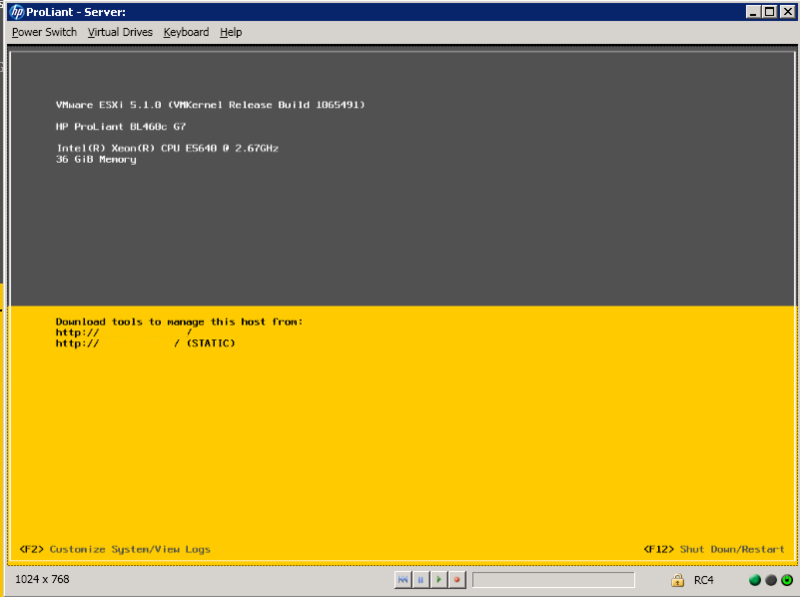 The easiest way to perform this is by connecting via console or SSH to your ESX host and running the following command: “esxupdate query -a”.